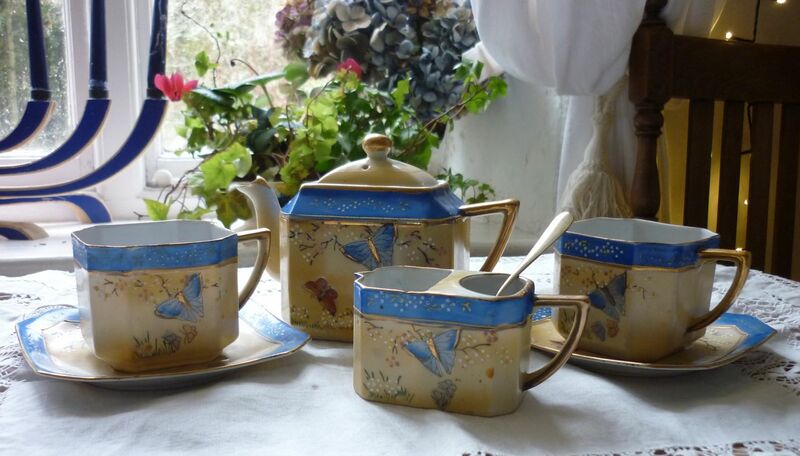 This tea set has been sold. 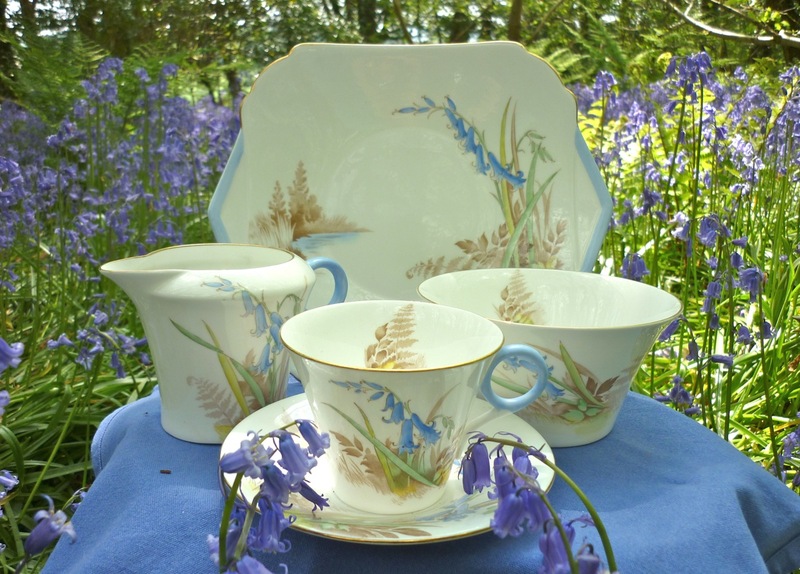 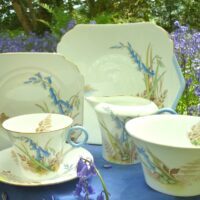 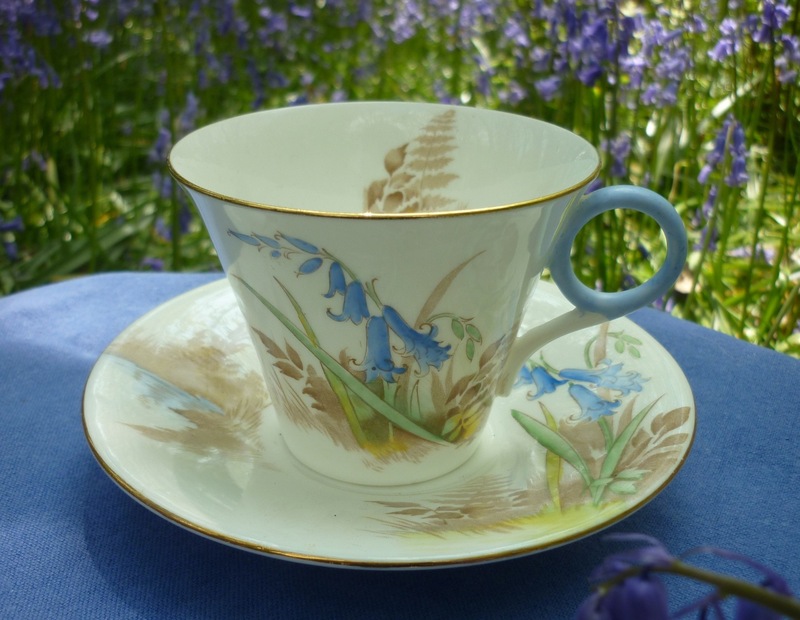 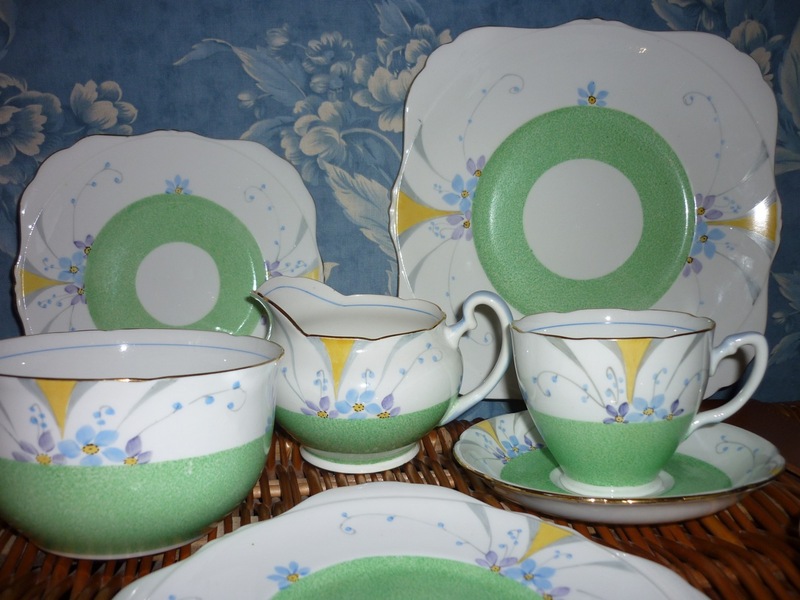 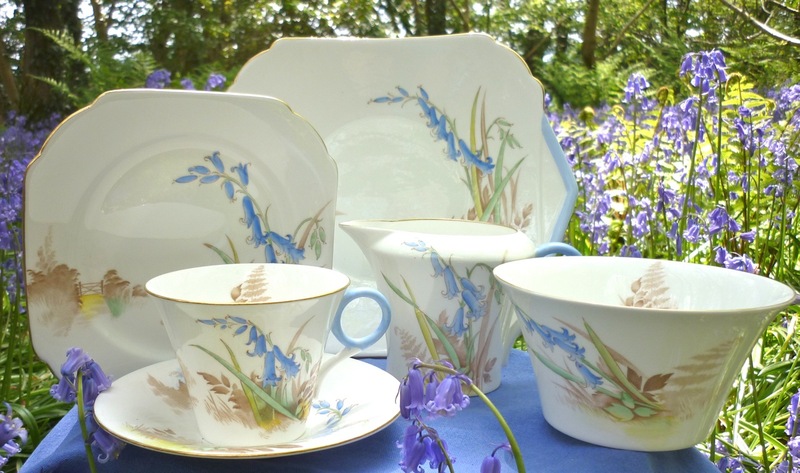 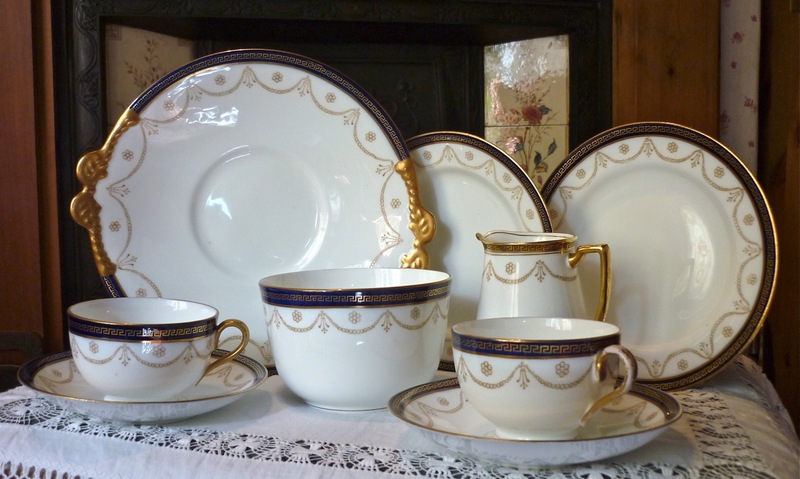 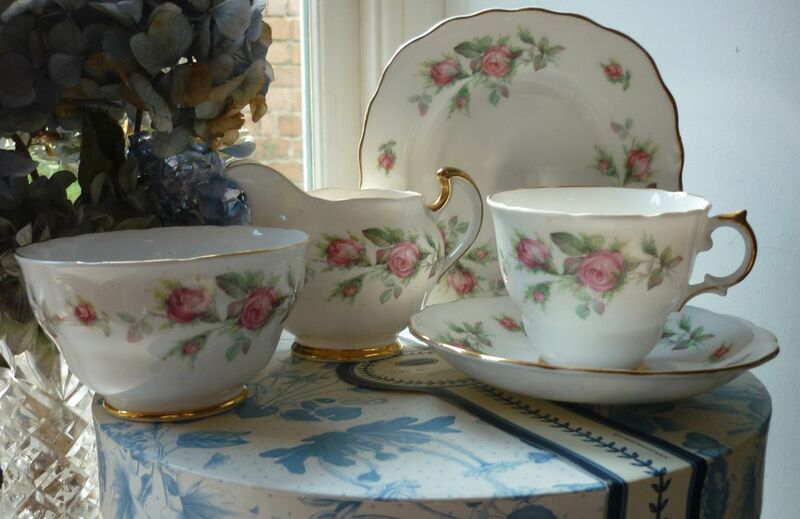 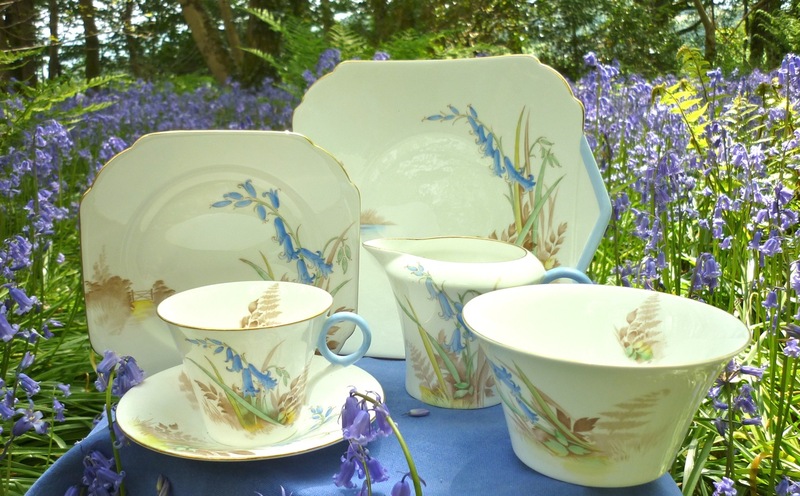 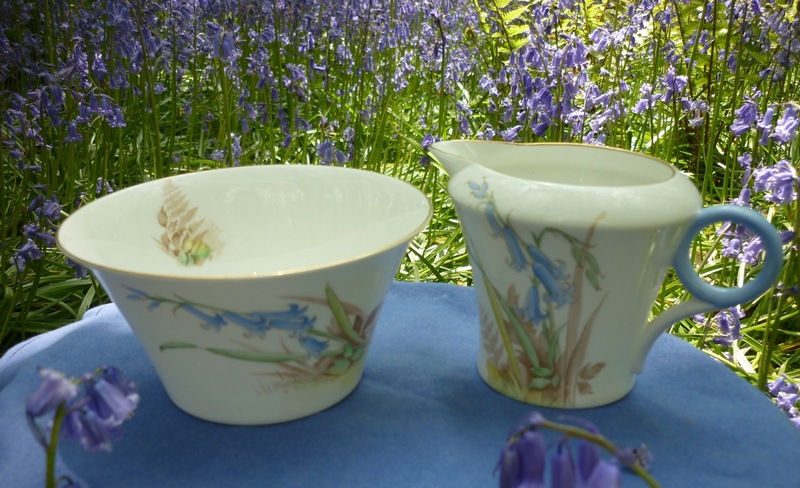 This beautiful tea set is made by Shelley, a distinguished fine china producer from the 19th and 20th centuries. 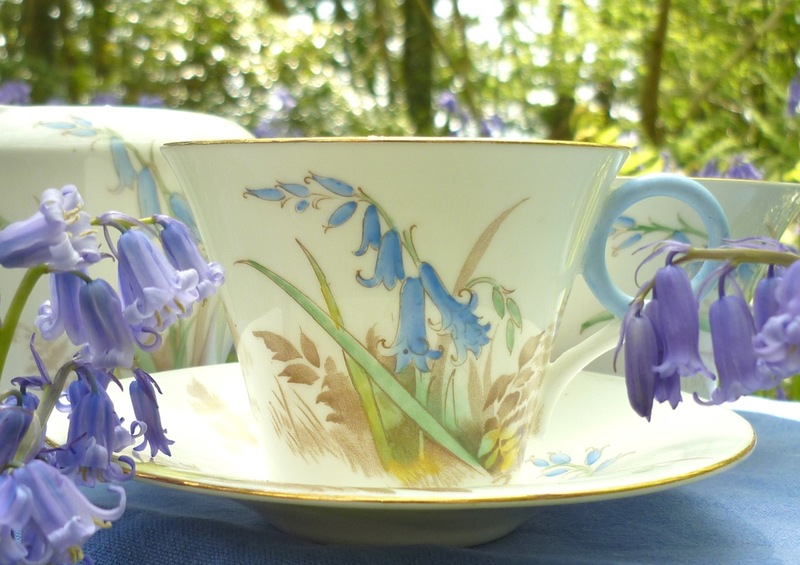 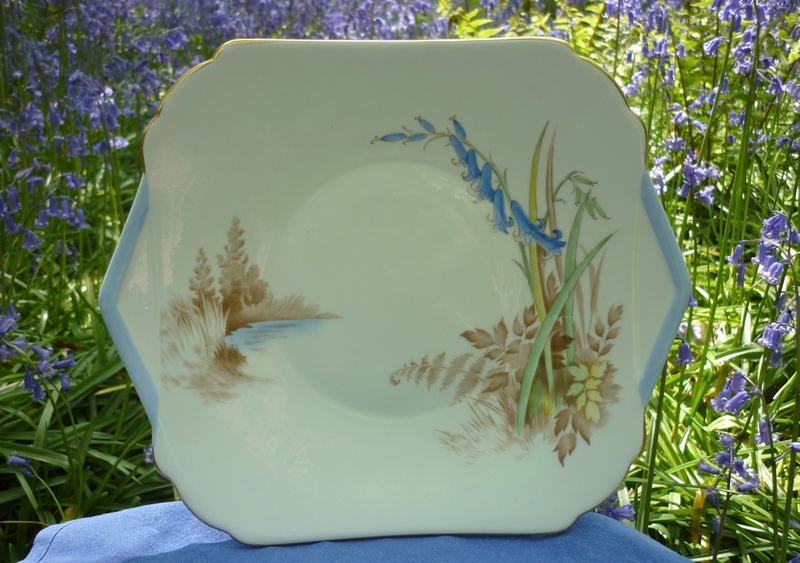 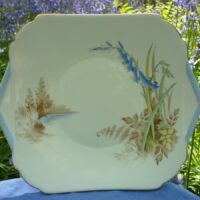 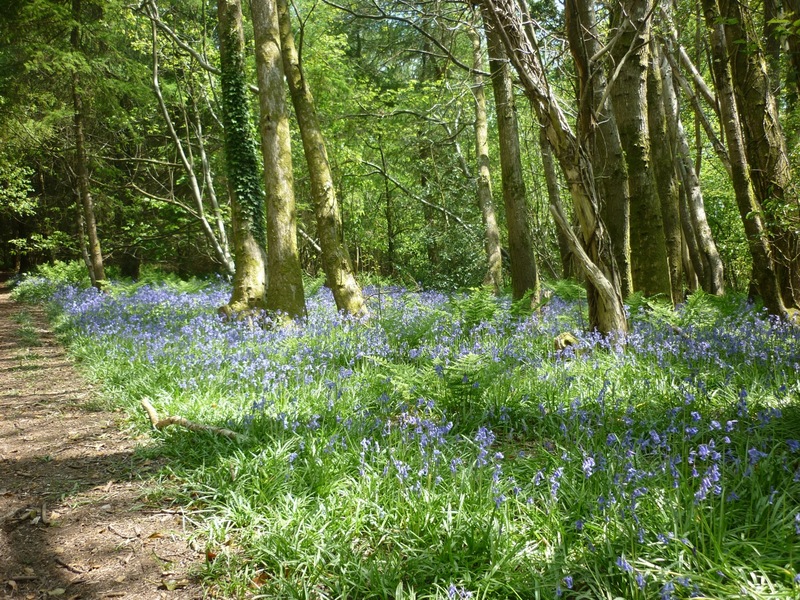 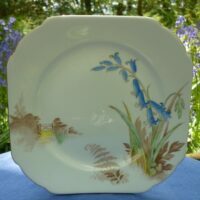 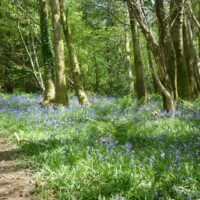 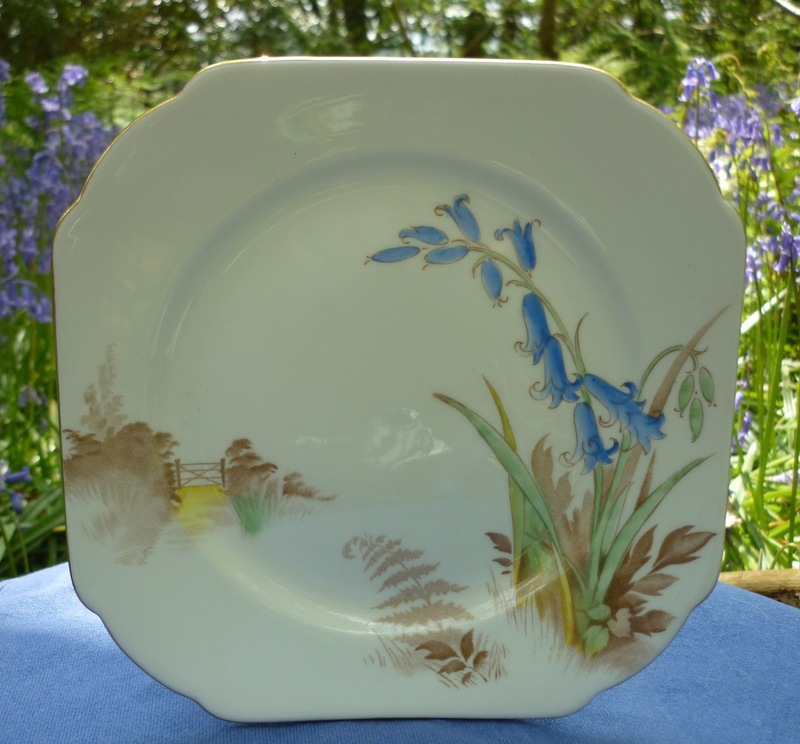 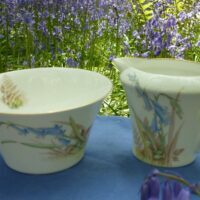 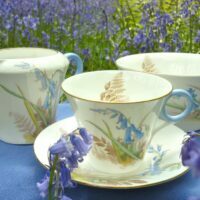 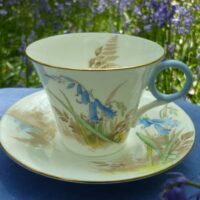 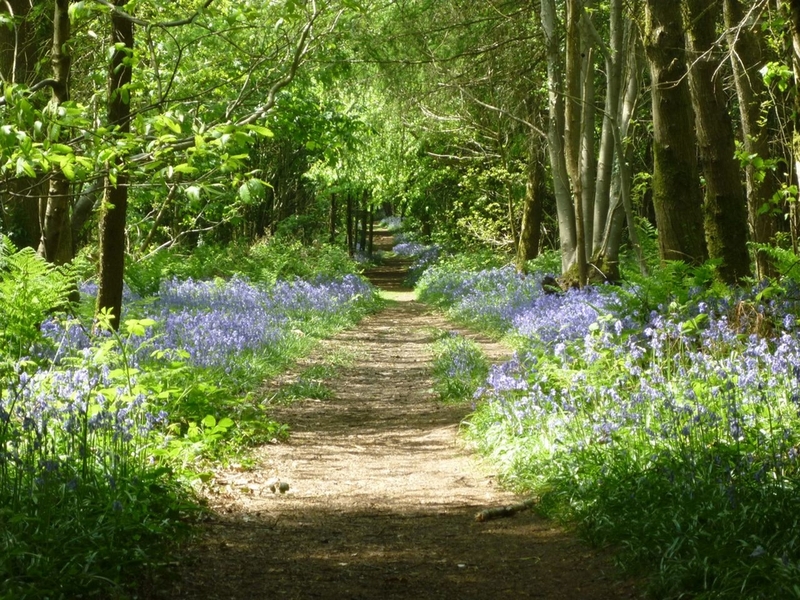 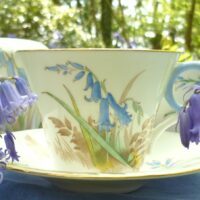 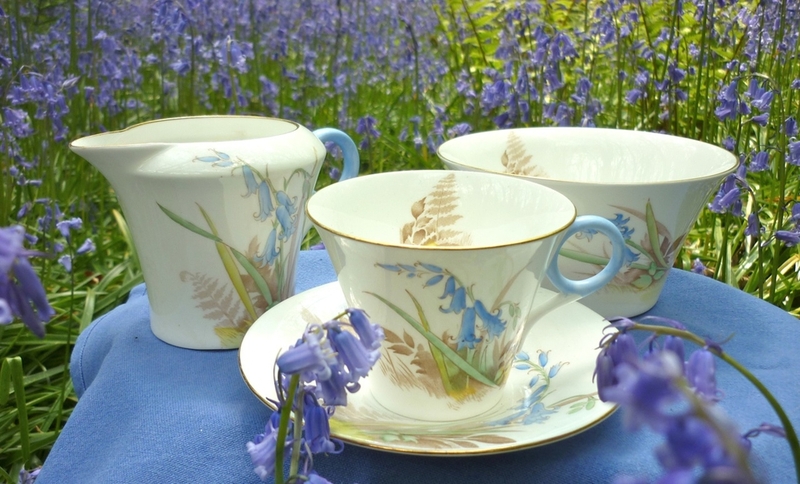 The bluebells and ferns are a take straight from a bluebell wood, still blooming each spring throughout Britain. 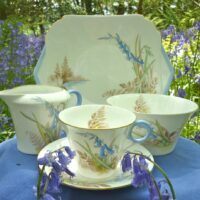 The lovely shaped handles feature a bright blue along with the trim on each piece and the octagonal shaped plates add interest to the set as well.